Bill Grant's Old-School Bodybuilding Series: The Secret To Massive Arms! If you don't know legendary bodybuilder Bill Grant you should. In this article I will give a brief overview of his career and include a webcast video with him performing an arm workout. Check it out! Note: Bodybuilding.com has done it again. Another website content first to help you get the results you want. Legendary Bodybuilder Bill Grant will take you through his custom workouts, and tell you about his most sought after training secrets during the workout video lesson. If you don't know legendary bodybuilder Bill Grant you should. 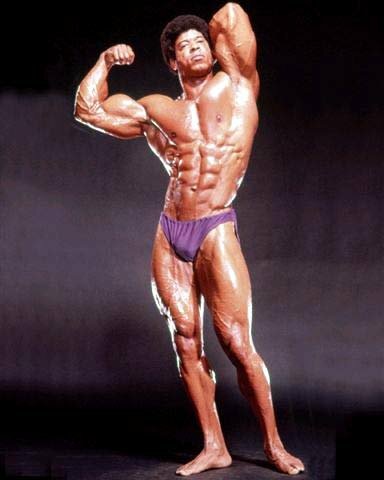 At age 58 Bill still maintains a championship physique worthy of his legendary bodybuilding status. Most people never come close to developing Bill's muscle size, strength, balance and definition. But when you consider Bill has mastered the training and nutrition secrets to not only build such an awesome body, but maintain peak condition for 4 decades, it is no wonder why so many people want to know his secrets. Bill commands big bucks for one-on-one training, and that's when he finds time from his hectic schedule to share his valuable knowledge and experience with a select few (which now includes you!). I had the privilege of first meeting Bill this year, at the famous hard-core bodybuilding Diamond Gym in New Jersey. 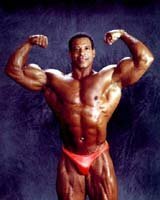 Right from the start it was clear that Bill Grant is "Mr. Bodybuilding". He knows everything it takes to be a champion bodybuilder, and how to apply bodybuilding techniques to building muscle for sports or just to be in the best shape of your life. What became apparent to me early in our conversation was that Bill is concerned about how too many people are going about weight lifting the wrong way. The solution Bill suggested was to do this series of instructional webcast videos so Bill Grant can demonstrate the workouts for you and share his valuable bodybuilding information with you, just as he would if you were paying him for one-on-one personal training. This is an incredible opportunity, as you will learn the real massive bodybuilding secrets of the pros, in addition to following Bill's customized workouts to take your training to the next level, with Bill as your personal trainer. But before we get in to the interview with Bill Grant, here is a quick overview of his background and some photos of Bill during the past 4 decades. I think you will agree that Bill has maintained a Champion of Champions' physique. Bill Grant, a Bodybuilding Legend, is the President and owner of Bill Grant Nutrition, the Next Generation of Sports and Performance Nutrition. He has over 40 years of professional experience in bodybuilding, health and fitness. His multi-faceted and enthusiastic approach and concepts for building a total fitness package those appeals to every athlete, from novice to professional. His lifetime commitment is dedicated to maintaining a healthy lifestyle in today's world. Professional Personal Fitness Trainer covering all aspects of fitness. Bill's many credits include producing and hosting his own successful Comcast Cable television fitness program and radio show on WEVD 1050-AM "Fit for Life" with a combined monthly audience of over 1.5 million people. Each show focused on all aspects of fitness, sports medicine, and diet while incorporating expert guest speakers in the areas of total fitness and nutrition. 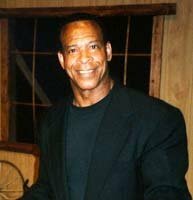 He has appeared in numerous movies (ABC's Friday Night Movie of the Week, Hustler of Muscle Beach and the new release of Pumping Iron starring Arnold Schwarzenegger), theatrical productions, television shows (Runaway Train and Smokey Robinson Review) and commercials (Toyota, McDonald's, Bally's/Jack Lalane). He has appeared on ABC, CBS, CNN, WOR, ESPN & Fox News, The Big Story with Rita Cosby. His articles and interviews in health and fitness magazines worldwide easily identify him as the perfect spokesperson for a vigorous exercise program, proper nutrition and a healthy attitude. The foundation of Bill's muscle building philosophy is for each individual to determine the balance of intensity-duration-frequency of resistance training workouts that will result in producing the fastest gains in muscle mass and strength. Early in Bill's bodybuilding career he learned that more resistance training is not necessarily better. For example, early in Bill's career he experimented with following different resistance training routines. In fact during these experimental years Bill even trained side-by-side with Arnold Schwarzenegger, training each body part 3 times a week, and training 6 days a week. After just two weeks of using this routine, Bill determined that he needed more time for recovery. So Bill eventually settled in to a 4 day per week training routine. Based on Bill's experience he also determined that most people have the recovery abilities that make this 4 day per week training routine best suited for them; about 70% of the people Bill has worked with over the years. In addition to determining the training level of intensity-duration-frequency you can handle, your training routines need to go beyond following the same exercises, sets and reps week after week. In order to get your best results, Bill's webcast workout video lesson series will show you how to periodize your bodybuilding training program for optimum results.
. Bill maintains that using super-set training allows you to reach higher intensity training levels, getting the most out of your training effort. With super-sets you will also move your workouts along at a quicker pace, and perform more sets in a given period of time. Bill's intermediate to advanced training routines includes training 4 times per week maximum, with each workout session lasting about 1.5 hours. Based on surveys conducted by Bodybuilding.com, building bigger arms is one of the top goals bodybuilders want to know more about. So, to help you achieve this major goal, the first webcast workout video lesson Bill Grant performs for you is his Arms Workout. According to Bill this arm workout is best for most people to build massive biceps, triceps and forearms like his. Do Bill's arm workout twice a week. Follow the super-sets as demonstrated on the webcast workout video lesson, with the first set a warm-up set. You can substitute exercises for a particular exercise if the training equipment used by Bill is not available to you. Use super-sets for all of the arm workout exercises. Exercising biceps and triceps in a super-set makes your arms more susceptible for growth, and keeps them pumped up longer for maximum gains. The arm workout uses medium intensity, 8 to 12 reps. Note that the biceps and triceps are trained with heavy intensity during the chest and back workout exercises performed on different days of the week. When performing super-sets, keep in mind that when you are exercising your biceps, your triceps are resting. so this means that you only need a short period of rest between each super-set, about 60 seconds if your level of conditioning permits. If you are new to super-sets you may need a longer period of rest, until your super-set conditioning improves. When you watch the web cast workout video lesson, Bill Grant will provide you with additional details and interesting information and tips from his 4 decades of bodybuilding excellence.